I am always inspired by my friend Abby over at My Sweet Baboo and the crafts she comes up with from her son’s favorite books. 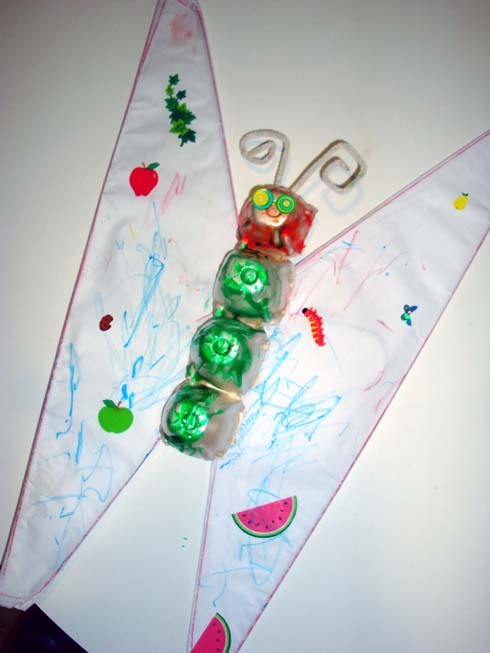 This week, I decided to give it a try and we based our beautiful butterfly on The Very Hungry Caterpillar by Eric Carle. I blogged all about it over at Blissfully Domestic. I hope you’ll check it out! 9 Weeks…tap tap, is this thing on? Love the Hungry Caterpillar. In swear it is how my daughter learned to count (hubby used to count the cutouts). I need to head to his museum soon. BTW Hoping to see you at BlogHer.